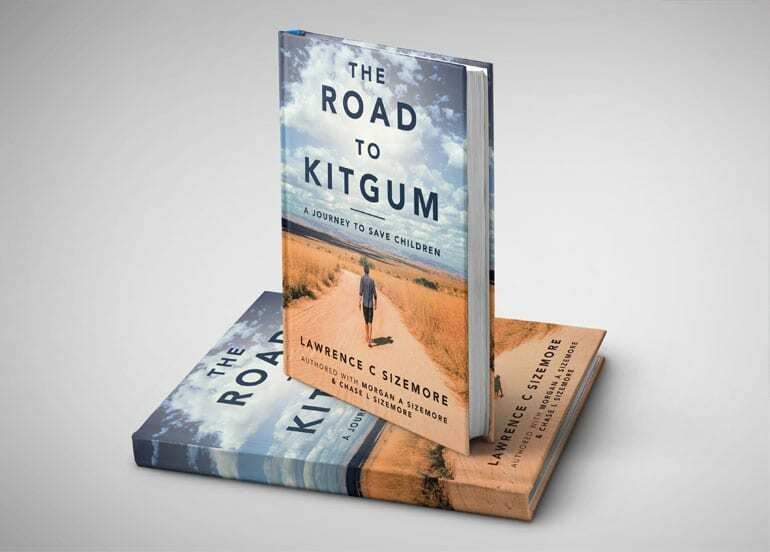 The Road to Kitgum is an awe-inspiring story (co-authored by Lawrence Sizemore, Morgan Sizemore (Dartmouth ’19), and Chase Sizemore (Flint Hill School ’18)) about the Teach Them To Fish Foundation’s determination, not to change the world but, to do its share to alleviate some of the unimaginable human suffering in the world by building primary schools in rural Cambodia and Uganda — while addressing the importance of educating girls who are at risk for human trafficking. The book chronicles the foundation’s journey from its inception in 2006, to building its first school for more than three hundred and eighty children in a remote village in Battambang Province, Cambodia, to searching for the parents of three young boys who stepped on a landmine in Quang-Tri Province, Vietnam, and died, to building its first two primary schools deep in the bush on the East African Plateau in rural Uganda, during which times our director eluded Al-Shabbab suicide bombers who, in Kampala, murdered more than seventy-six people and later was evacuated from Mbale to Entebbe via Addis Ababa to Tel Aviv to recover from exposure to water borne pathogens that reportedly killed two children at our school’s village. After garnering more than ten years’ organizational and practical fieldwork experiences building primary schools for thousands of children, the foundation now seeks to raise broad based public support to expand its critically important work by publishing our first book in a series, The Road to Kitgum.